Videocon Mobiles has recently announced a new Android smartphone lineup for Indian users. 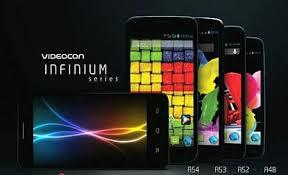 The new lineup is named Infinium series and Videocon has started the lineup with eight new smartphones. The minimum price of an Infinium series smartphone is Rs 6,000 which clearly shows that Videocon is still after budget smartphone category. With these 8 new smartphones, Videocon wants to cover up the low budget to medium budget requirements of the smartphone seekers. Videocon also promised that these smartphones are going to provide some premium features to the users within the budget price. I’m starting with the specifications of those eight new smartphones launched under Infinium series hood. This is the first smartphone announced that will feature quad core processor which will be clocked at 1.2GHz. The display features One Glass Solution panel sized 5 inch diagonally and having HD resolution of 1280×720 pixels. The camera at the back features 8MP BSI sensor which got auto focus enabled and supported by LED flash while for video chatting there is a 3.2MP camera in front too. The battery preloaded within is 2000mAh which will definitely provide a decent battery life. Videocon Infinium A55Q powered by Quad core processor clocked at 1.3GHz and got 5 inch display but with resolution of 960×540 pixels. 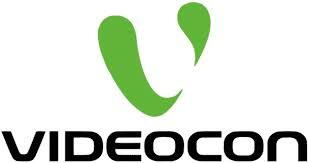 This is the reason why Videocon has not added HD term in the name. The rear part got 8MP BSI camera with LED flash but the front got only 1.3MP camera. The battery life of the device is same (2000) mAh. Both these smartphones got 5.3 inch display with similar resolution of 960×540 pixels. But there is difference inside the CPU. A54 got quad core processor while A53 got dual core processor. Both the devices have got similar 8MP auto focus camera at rear with LED flash but A54 got 1.3MP at front while A53 got 2MP at front. The battery include inside A54 is 2500mAh while in A53 is just 1800mAh. Videocon Infinium A48 got dual core processor clocked at 1GHz while the A42 also got dual core processor but clocked at 1.2GHz. Both the devices got 4.5 inch display at resolution of 854×480 pixels. The camera of both the devices are similar i.e. 5MP with LED on back and 1.3MP at front. But there is slight difference in battery ratings. A48 is powered by 1650mAh while A42 is powered by 1700mAh. This is the cheapest smartphone launched in the Infinium family. It features dual core processor which is clocked at 1.2GHz while the display measures 4 inch and got resolution of 800×480 pixels. The camera at the back is 5MP and 1.3MP at front. The rear camera is supported by LED flash for taking better pictures in night. The battery inside is 1550mAh. All eight smartphones will be having dual SIM feature along with 3G, Wi-Fi, Bluetooth and microUSB port. Videocon has put a great show with these eight new smartphones. All these smartphones are having all required features which users look in an Android smartphone. The budget or cheaper price tag on these devices will help them to attract buyers.